The person in the spotlight for today's “Successful Women in Real Estate Investing” is real estate entrepreneur Kelly Payne. Kelly invests in two different cities in Oklahoma. She invests in Tulsa which is where she lives and also in Oklahoma City (where she used to live). Kelly is a busy mom with 3 small children. Don't let anyone tell you that you can't be a successful real estate investor while you have small children. You just have to get good at time management. Another thing Kelly's is really good at is talking to motivated sellers. If that is an area where you are struggling, you might want to check out the Google Hangout we did a couple of months ago. Kelly was such a good sport when I asked her to role play since we were just winging it. We didn't have anything prepared which is kind of the way it happens in real life. You never really know what sellers throw at you. We had a great time doing this so be sure to listen in when you have a chance. Here Is the Link to check out our completely unscripted “How to Talk To a Motivated Seller” Google Hangout where we did some serious role playing. This is really a story about how I got involved in real estate investing in the first place, and it’s a story that I love! I come from a family of entrepreneurs, and after I got married I had the same itch. And while I wanted to think long term about my children and our family, I also wanted the chance to make great money NOW to replace my husband’s income. I threw myself into coming up with a plan, and had gotten as far as buying discounted real estate, when I mentioned to my mom what I was up to. And as it happened – she had just ordered a wholesaling course! She decided it wasn’t for her and sent it to me the next day! I devoured it and that’s where I started with real estate investing, and where my focus still is. Mothers know best! I feel that I’m still working that out. I began with wholesaling and found myself trying new strategies as I needed to make deals work. I really do like seller financing and rehabs, and there’s a possibility our main focus may shift to that in time. If, for example, we’re able to replace my husband’s income, we may want to do more rehabs since that’s a skill set he can bring to the business. We have buy and holds and that is part of our long-term plan, but we’re more open on the short- and medium-term strategies. I know having focus is important for success; but I also love trying new things and can’t resist new opportunities. So what I’ve settled on is being committed to always focusing on what has proven itself to work (which for me right now is wholesaling), and then being open to adding in new strategies as they come up. When I read through the wholesaling course my mom gave me, it ended by imploring me to attend my local REIA meeting and I went the very next Thursday! So before I did anything else, I attended a meeting. I volunteered, made friends, and was mentored – all by people I met at my REIA. But I also have a strong need to be informed, be independent and create my own road map, so of course I branched out and ended up leaning very heavily on the articles and forums at BiggerPockets. I still do, in fact. So whenever someone emails me asking how to get started, I tell them to go to the next REIA meeting, being humble and open and eager; and to also open an account at BiggerPockets with a voracious appetite for information and advice. I always hesitate to go backwards in time, because I don’t like opening myself up to regrets. But hindsight is a great teacher so if I could start over, I would prepare myself to be committed. There’s a learning curve, and you also have to build momentum with your marketing. In the beginning, I was mostly sustained by excitement and hype; and even though I never gave up, I kept starting over, chasing different kinds of leads or marketing pieces because I didn’t get immediate, wildly successful results. That starting over really stunted my business’ success. So I would do a reasonable amount of research in the beginning, and then pick a plan. The secret to getting great results is in consistent action. You can get there faster by taking MASSIVE action, but you still must stick to the plan, because your efforts have a cumulative return. I would tell myself that chasing after new and better ways is for AFTER I’m already a successful investor – and to get there it will take me being faithful in consistently carrying out the small, repetitive parts of my plan, and having faith in the process. You can visit Kelly's site Flipping Oklahoma by Clicking Here…. Learn how you too can be a successful real estate entrepreneur even if you are a busy mom. You can also learn more about Kelly by watching the video interview I did with her. You can watch that here …. Kelly Payne is a part-time real estate investor in Oklahoma, helping sellers in both the OKC and Tulsa markets. She is also a stay-at-home-mother to her 3 young children, and leverages her time to grow her real estate and network marketing businesses. She began investing in 2010 and has been a part of lease/option, rehab, seller financing and rental transactions, but keeps wholesaling as her focus. 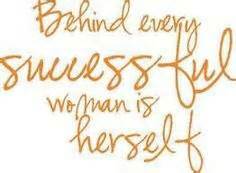 It is true that you can be a successful entrepreneur even you are a bus mom. It is also important that you keep on learning and master your own business. Glad to read this article. It’s an interesting story you’ve shared. Your experiences will make other entrepreneur to be motivated. Harnessing yourself on all the things happening when you are doing all the hard work is an advantage to take on a bigger company.